Polycarbonates are a particular group of thermoplastic polymers. They are easily worked, moulded, and thermoformed; as such, these plastics are very widely used in the modern chemical industry. Polycarbonate has a glass transition temperature of about 150 C, so it softens gradually above this point and flows above about 300 C. Injection moulding is more difficult than other common thermoplastics owing to its non-Newtonian fluid flow behaviour. Tools must be held at high temperatures, generally above 80 C to make strain- and stress-free products. Low molecular mass grades are easier to mould than higher grades, but their strength is lower as a result. The toughest grades have the highest molecular mass, but are much more difficult to process. Polycarbonate is becoming more common in housewares as well as laboratories and in industry, especially in applications where any of its main features—high impact resistance, temperature resistance, optical properties—are required. extrusion with cylinders into sheets (0.5-15 mm) and films (below 1 mm), which can be used directly or manufactured into other shapes using thermoforming or secondary fabrication techniques, such as bending, drilling, routing, laser cutting etc. For use in applications exposed to weathering or UV-radiation, a special surface treatment is needed. This either can be a coating (e.g. for improved abrasion resistance), or a coextrusion for enhanced weathering resistance. Some polycarbonate grades are used in medical applications and comply with both ISO 10993-1 and USP Class VI standards (occasionally referred to as PC-ISO). Class VI is the most stringent of the six USP ratings. These grades can be sterilized using steam at 120 °C, gamma radiation or the ethylene oxide (EtO) method. See Medical Applications of Polycarbonate for more information. However, scientific research indicates possible problems with biocompatibility. Dow Chemical strictly limits all its plastics with regard to medical applications. The cockpit canopy of the F-22 Raptor jet fighter is made from a piece of high optical quality polycarbonate, and is the largest piece of its type formed in the world. Being based on bisphenol A (a phenol based on benzene) pricing is largely dependent on phenol and benzene pricing. 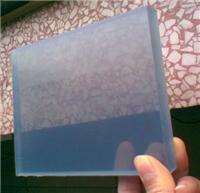 Panlite from Teijin Chemical Limited. Polycarbonate may be appealing to manufacturers and purchasers of food storage containers due to its clarity and toughness, being described as lightweight and highly break resistant particularly when compared to silica glass. Polycarbonate may be seen in the form of single use and refillable plastic water bottles. More than 100 studies have explored the bioactivity of bisphenol A leachates from polycarbonates. Bisphenol A appeared to be released from polycarbonate animal cages into water at room temperature and that it may have been responsible for enlargement of the reproductive organs of female mice. An analysis of the literature on bisphenol A leachate low-dose effects by vom Saal and Hughes published in August 2005 seems to have found a suggestive correlation between the source of funding and the conclusion drawn. Industry funded studies tend to find no significant effects while government funded studies tend to find significant effects. Research by Ana M. Soto, professor of anatomy and cellular biology at Tufts University School of Medicine, Boston, published Dec. 6 in the online edition of Reproductive Toxicology (DOI: 10.1016/j.reprotox.2006.10.002) describes exposure of pregnant rats to bisphenol A at 2.5 to 1,000 µg per kilogram of body weight per day. At the equivalent of puberty for the pups (50 days old), about 25% of their mammary ducts had precancerous lesions, some three to four times higher than unexposed controls. The study is cited as evidence for the hypothesis that environmental exposure to bisphenol A as a fetus can cause breast cancer in ***** women. An expert panel of 12 scientists has found that there is "some concern that exposure to the chemical bisphenol A in utero causes neural and behavioral effects," according to the draft report prepared by The National Toxicology Program (NTP) Center for the Evaluation of Risks to Human Reproduction. For the general ***** population, the expert panel found a "negligible concern for adverse reproductive effects following exposures." A study of cross-sectional data from the 2003-2004 U.S. National Health and Nutritional Examination Survey published in the September 17, 2008 edition of the Journal of the American Medical Association (JAMA) demonstrated positive and statistically significant correlations between the concentration of bisphenol A in the urine and self-reported histories of cardiovascular disease and diabetes. One point of agreement among those studying polycarbonate water and food storage containers may be that using sodium hypochlorite bleach and other alkali cleaners to clean polycarbonate is not recommended, as they catalyze the release of the bisphenol-A. The tendency of polycarbonate to release bisphenol A was discovered after a lab tech used strong cleaners on polycarbonate lab containers. Endocrine disruption later observed on lab rats was traced to exposure from the cleaned containers. On April 18, 2008, Health Canada announced that Bisphenol A is "'toxic' to human health". Canada is the first nation to make this designation. A chemical compatibility chart shows reactivity between chemicals such as polycarbonate and a cleaning agent.Alcohol is one recommended organic solvent for cleaning grease and oils from polycarbonate. For treating mold, borax:H2O 1:96 to 1:8 may be effective. Polycarbonate can be synthesized from bisphenol A and phosgene (carbonyl dichloride, COCl2). The first step in the synthesis of polycarbonate from bisphenol A is treatment of bisphenol A with sodium hydroxide. This deprotonates the hydroxyl groups of the bisphenol A molecule. The deprotonated oxygen reacts with phosgene through carbonyl addition to create a tetrahedral intermediate (not shown here), after which the negatively charged oxygen kicks off a chloride ion (Cl-) to form a chloroformate. The chloroformate is then attacked by another deprotonated bisphenol A, eliminating the remaining chloride ion and forming a dimer of bisphenol A with a carbonate linkage in between. Repetition of this process yields a polycarbonate with alternating carbonate groups and groups from bisphenol A. * At room temperature. At temperatures above 60 °C hydrolysis can occur, degrading the plastic. Degradation depends on time and temperature. Using sodium hypochlorite (bleach) and other alkali cleaners on polycarbonate are not recommended as they cause the release of bisphenol A, a known endocrine disruptor.